We have been getting lots of zucchinis lately, I have about 5 plants that I started from seed back in June. 3 of them are busy producing fruits, I get about 3-4 zukes per week. I have been busy finding recipes to use them in meal, here’s what I made today for dinner. Heat oil, add mustard seeds and turmeric. Once mustard seeds sizzle, add chopped potatoes, zucchini and 3 or 3 cups of water. Green chilies, curry powder, salt and jaggery goes into that. cook for 8-10 minutes. You can serve with homemade Roti. (Frozen Roti can be bought from Indian grocery stores). Marigolds bring memories back to me, it is considered holy flower and used heavily on auspicious days. 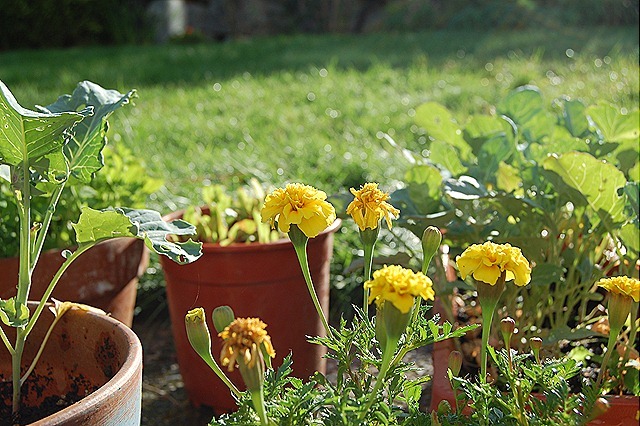 This year I have just 2 small pots with tiny yellow marigolds. I went cheap route and bought 30 cent seed packet from Walgreens. To my surprise, seeds did germinate and I have 3-4 plants in 2 pots unexpectedly. I remember my mother saving marigold seeds from dried flower and re-use them to make new plants year round (we lived in tropical sunny region). Not sure if I can do same with the hybrid flowers now-a-days, I am going to give it a try. This year for Ganapati festival I did not have many homegrown flowers, there’s hardly anything blooming in my garden late August. I got couple phlox, few roses, marigold and geraniums. Most of my garden flowers are spring and early summer bloomers – Lilac, Syringa, Iris, roses, Day lily, Japanese snowball etc. My quest next year is to plant late summer blooming flowers – annuals and perennials, and of course lots of marigolds. I dream of making marigold garlands for next year Ganapati. Readers out there – do you have any flowering plant suggestions for me that blooms late summer? So I know nothing about growing broccoli but somehow I have timed it nicely, thank you to cheap seeds being sold at Walgreens. few months back in June I was browsing clearance section as usual with 2 kids screaming and pleading to buy some cheapo toys. 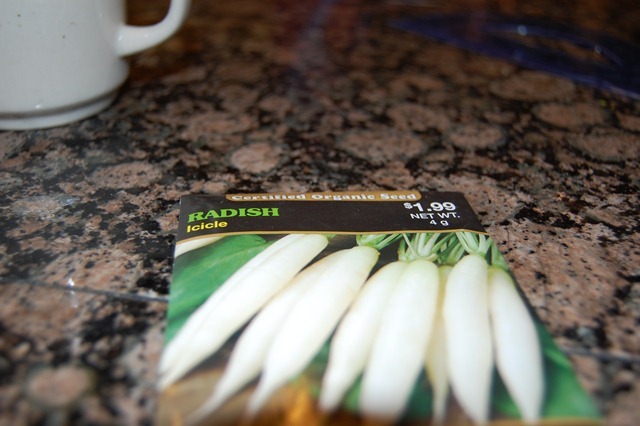 I went cheapo not for toys but for seeds… they were discounted 3 for a dollar, what a deal (if they really produced anything ;)). I got marigold, carrots and broccoli packets. Fast forward to August – While browsing found that broccoli is cool weather crop and should be planted 85 to 100 days before first frost of the season. Secret to best tasting broccoli is cool weather (and we got plenty of that in this part of the country). Let’s say first frost date in Sammamish, WA is October 22nd, rewind 100 days and we got 12 July. Well, I started plants right around beginning of July, unintentionally I timed it nicely. Let’s see what I actually get in another 2 months, wish I can fast forward time. 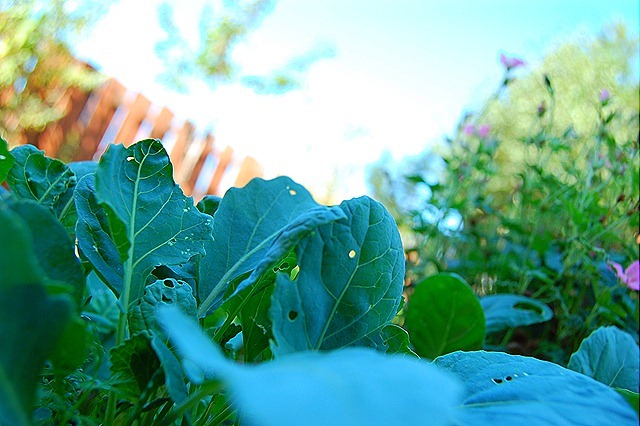 Clearly these broccoli starts are not healthiest, they have been attacked by some creature leaving tiny holes on leaves. I am not applying any pesticide or natural remedy at this point, playing wait and watch game, if it gets worst then I may so some milk spray on leaves. Summer here in northwest is short lived and relatively cool, night temperatures usually drop to 50s or 60s. I think that’s the reason radishes make easy and most suitable crop here. Even said that my very first radish plantings were a disaster as I spaced them too close, they did not have enough space to grow roots. I have learned my lesson and I hope my successive plantings give me good harvest. 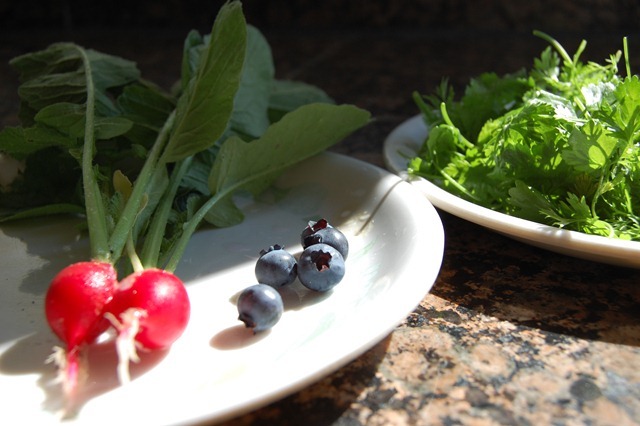 Today is all about radishes. Sowing seeds: I am planning to sow 2 kinds – cherry belle and Icicle. Cherry belle (source: ‘clearly more seeds’ packets) have 22 days of maturity and Icicle (source: ed humme seeds) have 27 days. I never sow them directly in the ground, I soak in water for 12 hours and 6-10 hours on wet paper towel, then they go in ground, for me this ensures quick germination. Not sure if this works for all kinds of seeds…..I surely want to learn more about scratching and cold treatment to seeds to encourage germination. Harvest: Cherry belle that are in ground for over a month are ready for harvest.. at least few of them. Leaves are turning colors and sedum is showing pink buds, butterfly bush are busy blooming. Every man tended garden is green and rest is yellow golden, it is summer in its best form here in Pacific Northwest. I moved into into a house few months back, this is my first house with yard and my first growing year. I don’t even have vegetable beds built, most of the vegetables I grow are in containers and some open area in the yard. All my vegetable planting so far is trial and error. Stay Tuned and welcome to my BLOG! !